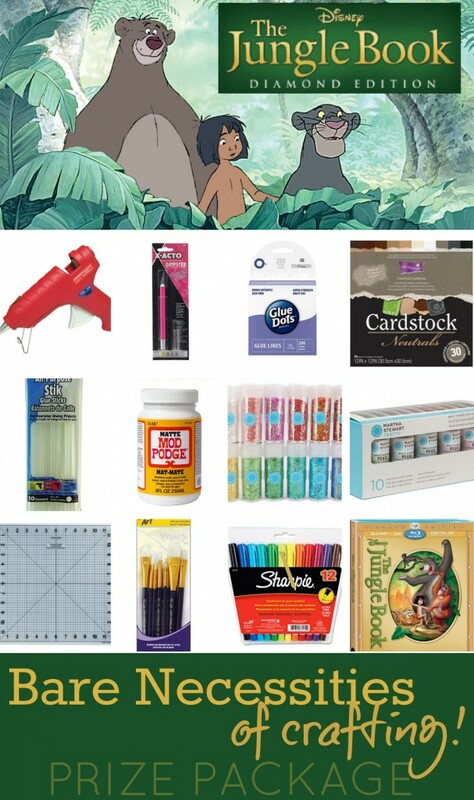 Craft supplies might not have been the bare necessities of life that our pal Baloo the bear was talking about. But, for all of us creative-types, they might as well be! As a collective group of creative bloggers, we all decided that these supplies are definitely some of the bare necessities of crafting! One lucky winner will get our awesome Bare Necessities of Crafting prize package shown above! That’s $100-worth of craft supplies, along with a copy of Disney’s The Jungle Book: Diamond Edition DVD (you can watch while crafting!). 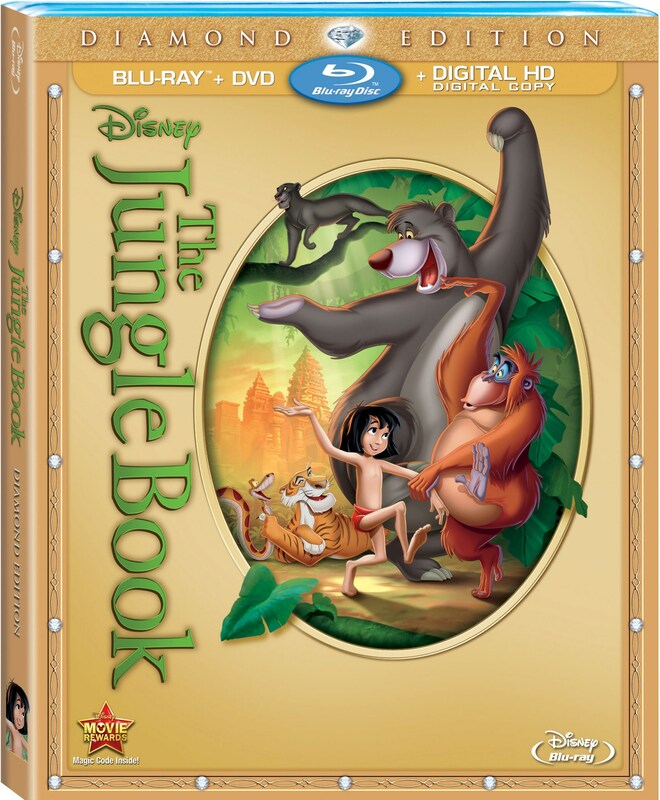 And, as a special bonus, TWO runner-up winners will each get a copy of Disney’s The Jungle Book: Diamond Edition DVD. Woot! Giveaway is open to U.S. and Canada residents, ages 18+. Enter using the rafflecopter widget below. Giveaway ends at 11:59pm MST on Tuesday, February 18th. Good luck!! Disclosure: Disney provided me with a copy of The Jungle Book: Diamond Edition DVD for the purposes of this coverage. They are providing the giveaway prize package. All opinions, experiences, and love of The Jungle Book are entirely my own. Awesome giveaway! Love Jungle Book….the bare necessities in Life! Oops did not put my favorite in my comment above – Mowgli is my fav! Bagheera is my favorite character. Baloo is definitely my favorite. Baloo is my favorite. Great prize. Thanks for the chance. I did know there was a Disney Vault. But of course they would need a safe place to keep originals of all their great movies.